Prior to 1861  A survey of Samuel Foxworth's property shows he owned Springwood Plantation (1, p. 274).
?  Eliza Catherine Palmer Legare acquired Springwood Plantation (2). Eliza was the daughter of Francis Marion Dwight, the grand-nephew and adopted son of South Carolina Revolutionary War hero General Francis Marion(2). 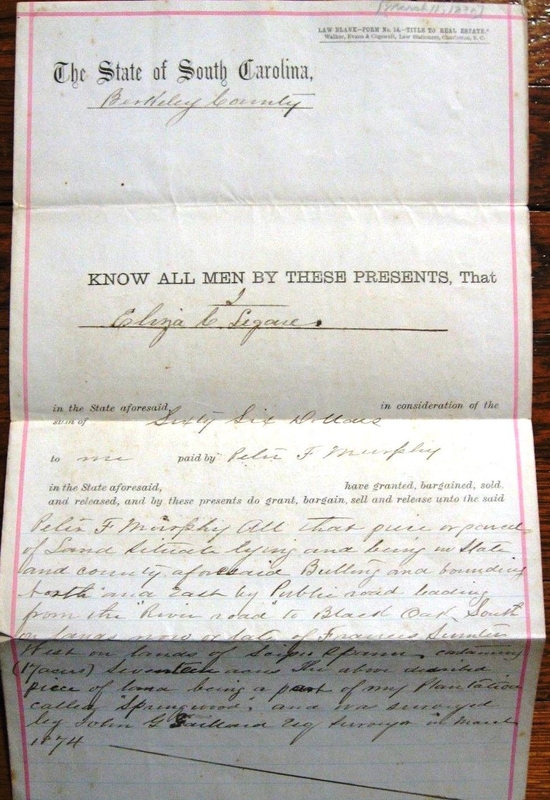 1890  Eliza Catherine Palmer Legare sold 17 acres of the plantation to Peter F. Murphy Sr for $66.00 (2).